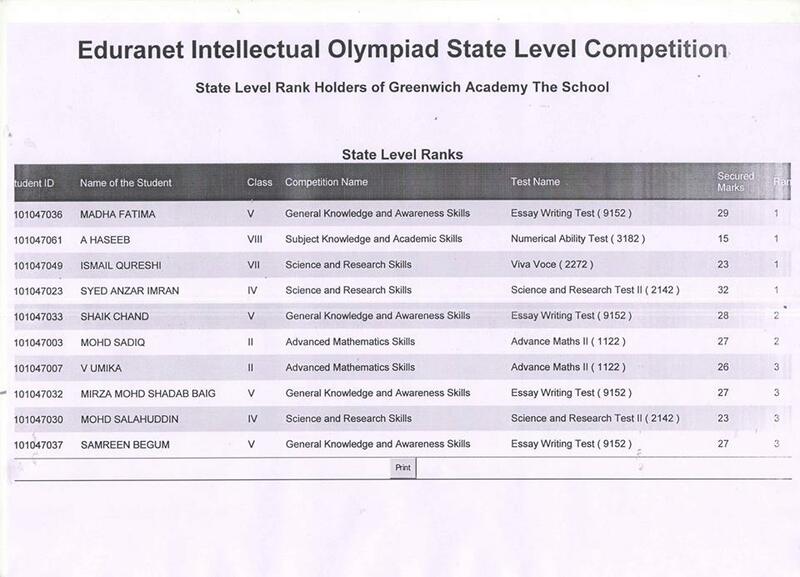 Many many Congratulations to Master Anzar, Master Ismail Qureshi, Master Haseeb & Miss Madiha Fatima for Achieving state leve 1st Rank & Gold Medal in the Recently held Inter State Eduranet Intellectual Olympiad Competition.You have made us PROUD. 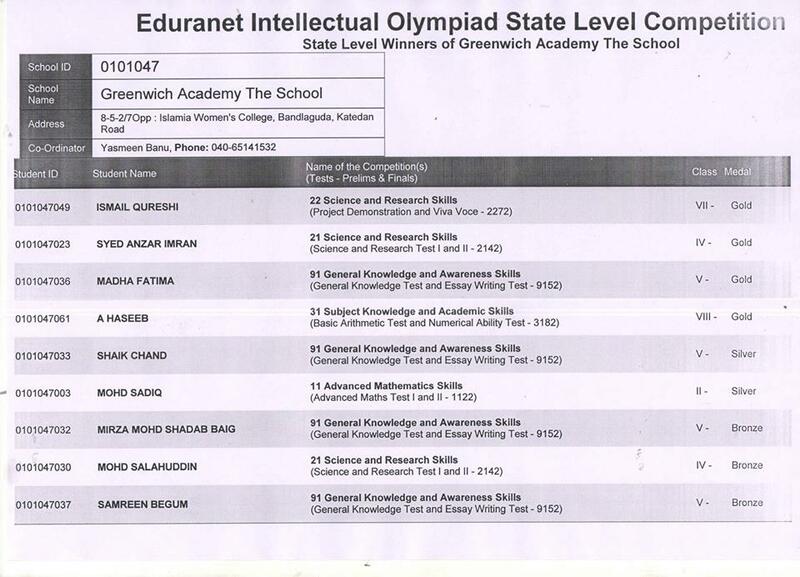 Congratulations to Master Shadab Baig & Master Mohd Salahuddin, Miss V.Umika & Miss Samreen Begum for winning Bronze Medal & achieving 3rd Rank in the Recently held State Level Eduranet Intellectual Olympiad Competition. We are PROUD of you.